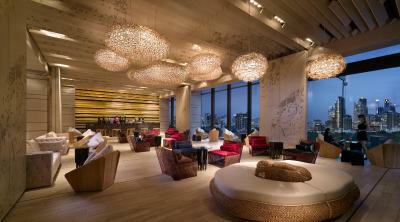 Lock in a great price for SO Sofitel Bangkok – rated 9 by recent guests! a nice hotel to chill and very suitable for young couple. the staffs are so friendly too. Pool , but the water temperature is quite low . Breakfast is perfect. Rooms are nice decorated with good amenities. Roof tob bar is just perfect . 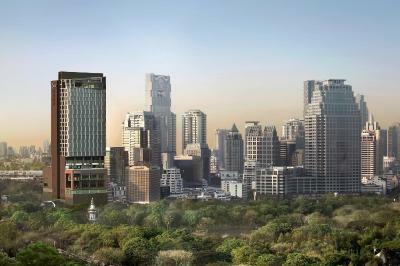 Always wanted to stay at SO Sofitel because it's near Lumpini Park and I can go for a run in the morning. Visited Red Oven twice before but this time breakfast wasn't included so I can't say much about the breakfast line. Love the unique park view and the skyline of Bangkok at anytime of the day. The room has everything you need and the bed is very comfy. Solution Centre/Room service staff are helpful. Parking can be a little limited especially on a day with a Wedding held at the hotel. Breakfast buffet was amazing. Get a higher level room for great views of the park and city skyline! The staff at club made it a wonderful experience, very helpful and welcoming. Mook, ploy, noom. 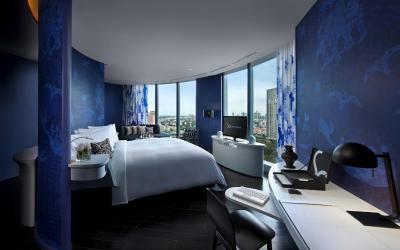 SO Sofitel Bangkok This rating is a reflection of how the property compares to the industry standard when it comes to price, facilities and services available. It's based on a self-evaluation by the property. Use this rating to help choose your stay! One of our top picks in Bangkok.This stylish urban oasis features stunning interior design inspired by the 5 natural elements of Water, Earth, Wood, Metal and Fire. 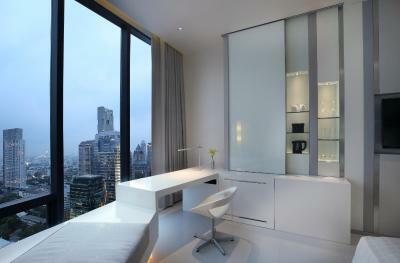 Rising 30 stories above the city, SO Sofitel Bangkok has rooms equipped with Apple Mac minis and suites with iPads. 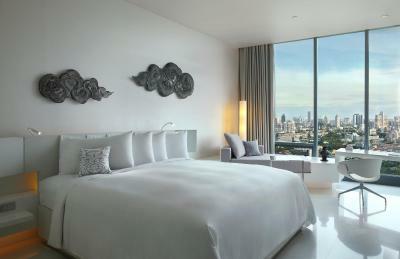 Elegant and modern, the themed rooms feature full-length windows with views or the city or Lumpini Park. All come with free WiFi, a 40-inch flat-screen TV and a free mini-bar. Bathrooms have a bathtub and separate rain shower. Located only 650 feet from Lumphini MRT Subway Station, SO Sofitel Bangkok offers easy access to the city's important landmarks and must-see attractions. It is approximately a 10-minute walk from Silom Road and Sala Daeng BTS Skytrain Station. Siam Paragon and Siam Square are located 2.2 mi away. The hotel is about 16 mi from both Suvarnabhumi Airport and Don Muang Airport. The world-class SoSPA is designed like a mythological forest, with relaxing massage treatments and rejuvenating hot tubs. There is also an outdoor pool and well-equipped fitness center. Bicycles can be rented with a reservation. The chic Park Society Restaurant and Bar offer fine dining on the hotel's rooftop, while Red Oven presents live cooking stations serving international dishes. 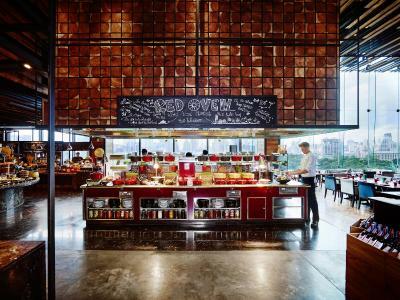 Other dining options include Chocolab Cafe and 3 bars. 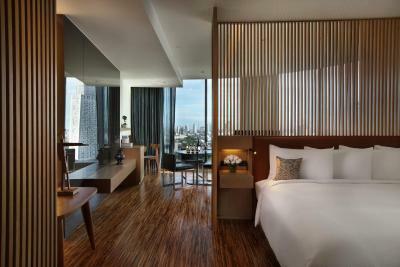 When would you like to stay at SO Sofitel Bangkok? Elegant and modern, rooms are designed according to Metal, Wood or Earth themes. 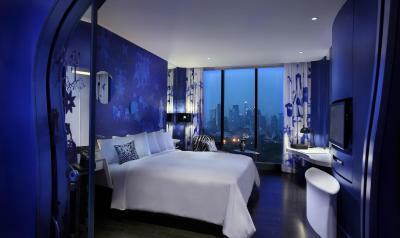 All feature a 40-inch flat-screen TV, Apple Mac mini, free WiFi and beautiful city views. Bathrooms have a bathtub and separate rain shower. Guests enjoy a complimentary mini-bar. 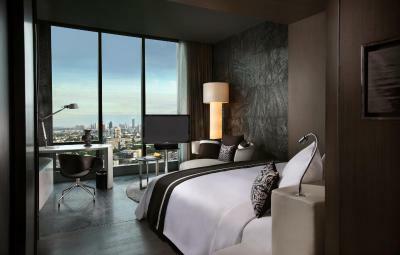 Overlooking Lumpini Park or the city, rooms are designed according to Metal, Wood, Earth or Water themes. All feature a 40-inch flat-screen TV, Apple Mac mini and free WiFi. Bathrooms have a bathtub and separate rain shower. Guests enjoy an illy coffee machine and a complimentary mini-bar. 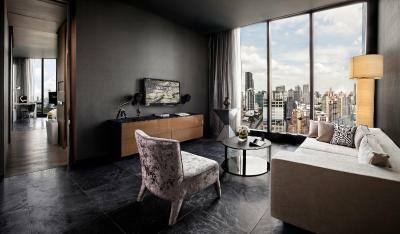 Overlooking the city, spacious suite features a seating area and an iPad. Free WiFi, an Apple Mac mini and a 40-inch flat-screen TV are included. Bathrooms have a bathtub and separate rain shower. Guests enjoy an illy coffee machine and a complimentary mini-bar. Club Lounge benefits include personalized check-in/out, daily breakfast, evening cocktails and all-day refreshments. 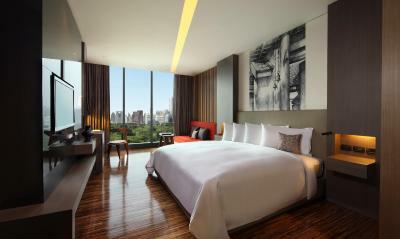 Overlooking Lumpini Park, rooms are designed according to Metal, Wood, Earth or Water themes. All feature a 40-inch flat-screen TV, Apple Mac mini and free WiFi. Bathrooms have a bathtub and separate rain shower. Guests enjoy an illy coffee machine and a complimentary mini-bar. Featuring pleasant views of Lumphini Park or the vibrant city, stylish rooms are designed with Metal, Wood, Earth or Water theme. All feature a 40-inch flat-screen TV and Apple Mac® mini. 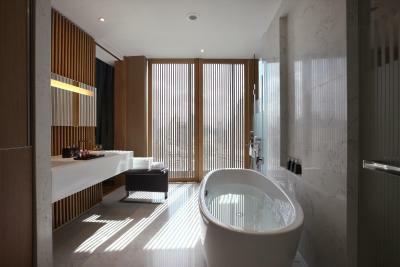 Its private bathroom is supplied with a bathtub and separate rain shower. Guests enjoy a complimentary mini-bar. 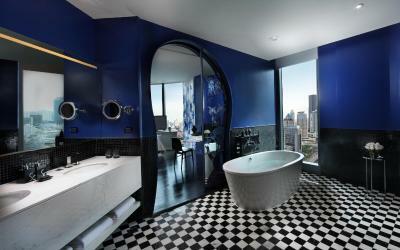 House Rules SO Sofitel Bangkok takes special requests – add in the next step! SO Sofitel Bangkok accepts these cards and reserves the right to temporarily hold an amount prior to arrival. A security deposit of THB 3000 (per night) in cash or credit card is required upon arrival for incidentals. This deposit is fully refundable upon check-out and subject to a damage inspection of the accommodations. Enter building via host of noisy coffee shops and cafes. Reception on 9th floor staffed by 5 of the most miserable Thai women in BKK. Room design poor. Tiling in shower chipped and looked ‘tired’. From the moment you step through the doors you are welcomed by very attentive and knowledgeable stuff. Amazing deco and the whole place smells of lemongrass that takes your breath away. And the view! Wow. A special thanks goes to the wonderful stuff T the breakfast: Matin, Pon and Pat! You guys were absolutely great! Thank you for a wonderful stay!! The staff professionalism.. all my requests were answered with a no. This is not a problem but the attitude of the staff was negative.. The breakfast was excellent, and the view from the restaurant was breathtaking. This hotel is not for family with young children. Staff is keen if you are fashionable but they don't really care about you if you are here to visit the city and share a family moment. As usual in luxury hotel in Thailand, they're money focused. What an amazing design! Hotel interior is designed by Christian Lacroix. Very great view on the city or on the park! Very huge and delicious breakfast! Delighting pool at the 10th floor until 10:00pm. The day I checked in was my birthday, better to get some greetings from such high end hotel, unfortunately I didn’t get it. Breakfast is the best I’ve ever had!